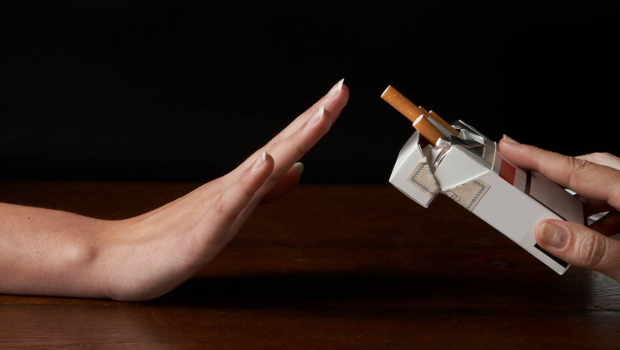 Hypnosis for smoking cessation is a tried and tested therapy. If you have decided that this could be the day that you begin to respect your body and value your life, giving up smoking with the help of hypnotherapy for smoking cessation would be an excellent first step! If you are a smoker and have tried to quit or would like to quit, congratulations, you are thinking of taking a positive step towards better health, finances, energy levels… Each time you have quit has been a dress rehearsal for this, the Main Event. Time to change that old habit and leave it in the past where it belongs. There is so much evidence about the harm cigarette smoking inflicts on your body, but you know that already. Smoking becomes a habit and linked with certain triggers, which are completely unconscious. Once we’ve worked out what your triggers are and a new healthier alternative pattern agreed, I will teach you how to relax yourself and during hypnosis the old reactions to the triggers can be changed to lead to healthier actions. When you are smoking, you are in a trance state. Part of the hypnotherapy session designed to stop you smoking is spent breaking that old trance state that has you with that cigarette in your hand and smoke in your lungs without the need for you to think very clearly about it. Then we can install new healthier habits – you chose, you’re in control now, not that old expensive, poisonous tobacco. Self-hypnosis is using the imagination and reflecting deeply on the good that you are doing your body now that you have stopped smoking. Self hypnosis can be used in all kinds of beneficial ways, for example so you can be clear about how easy it is to say “no thanks, I don’t smoke” if someone offers you a cigarette, and how proud of yourself you can feel. Call me and I will answer any other questions you might have. The good news is, the body can make the most amazing recovery once you give it a breathing space from those poisons in that smoke. You could read my blog post on how the body recovers from the effects of smoking. If you are experiencing some stress in your life, then spending 15 minutes sitting in a comfy chair and listening to my Relax and Revive download will help you to stay on track, a relaxed, confident non-smoker. Tim had been smoking 60 cigarettes a day for many years and now decided he really wanted to give up for the good of his health. In our session he learnt how to relax more easily and use his mind to develop effective strategies to keep him on the straight and narrow! After the hypnosis he had no further desire to smoke and decided to save the £7,500 per year he had been spending on cigarettes to take his family to New Zealand. I would recommend Nicola to anyone with a habit they cannot break. In terms of my experience it was a joy to feel that I had someone on my side who wanted to be with me on this journey. After my first session I did fall back into the trap after 6 days, but the anger and disappointment of ‘failing’ far overwhelmed the need to go back to cigarettes again! I didn’t waste any time to go back to Nicola for a follow on session. My second session has now resulted in being cigarette free for nearly 6 weeks and I feel so proud and pleased that finally I am a non-smoker! I’ve not smoked since our session and have been surprised how easy it has been, thank you so much for your help!